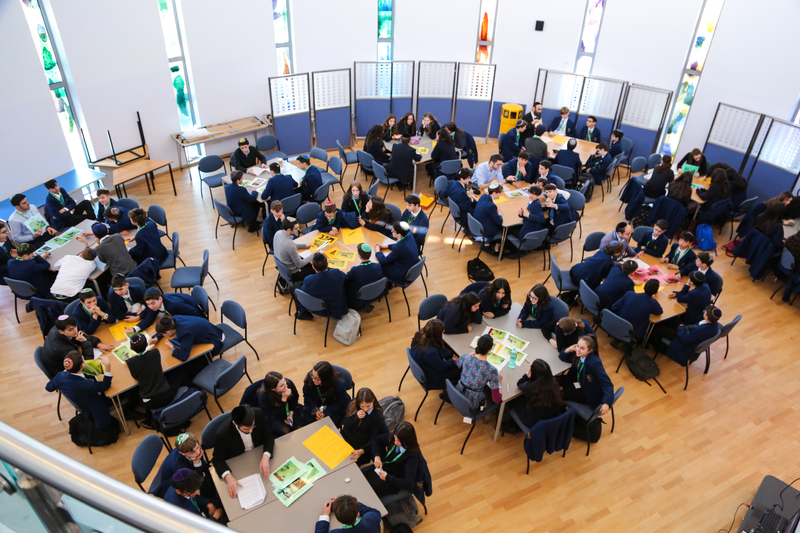 Students in Year 9 took part in our second Yom Iyun for this year that was dedicated to the memory of a beloved teacher of Torah, Issy Reich. Rabbi Shimon Buckman, an alumnus of JFS, again prepared the learning material. Facilitators from the Jewish Studies Department, Jiep and three volunteer Sixth Form students (Daniel Ross, Yosef Besso-Cowan and Rafi Levy) led an interactive group learning session. They discussed and analysed a dilemma which related to the Year 9 Iyun track syllabus, using sources from the Talmud to resolve it. The session was followed by a final wrap-up and a whole group discussion led by Rabbi Buckman. Students had a very positive experience and were able to delve more deeply into Jewish sources, building on their learning this year, as well as engaging in lively debate within their groups.